On June 22, 2016, South Texas College of Law announced that it was changing the name of the school to “Houston College of Law.” The school also introduced a new color scheme on its website that is predominantly red and white, with shades of gray. As a bookend to the public announcement, it appears the school also filed a trademark application for the word and design mark HOUSTON COLLEGE OF LAW EST. 1923, with a filing date of May 12, 2016. The trademark application also asserts a date of first use of April 6, 2016. Name changes can be a good thing. Typically. A rebranding can assist in drawing attention to a stale mark or product. It can attract new customers. It can introduce a product or service into a previously under-represented industry. In essence, this is what trademarks are for: to assist the consuming public in identifying the source of goods and services. The only problem is that “Houston College of Law” looks and sounds like “University of Houston Law Center,” which has been in existence in the same geographical area since approximately 1947. The University of Houston has also embraced a red-and-white color scheme since the late 1930s. As you can imagine, this name change and color scheme did not sit well with the other local law school. On Monday, June 27, 2016, the Board of Regents of the University of Houston System filed a lawsuit in the Southern District of Texas, Houston Division against South Texas College of Law. The Complaint asserts causes of action for trademark infringement, unfair competition and false designation of origin, false advertising, dilution by blurring or tarnishment, and related state and common law claims. Now that this matter is in the court system, what can be expected and how should this play out? University of Houston (UH) released a statement in conjunction with its lawsuit stating that “this is about protecting our reputation and our business” and noted that it will not allow someone else to use a similar name and color scheme to trade on UH’s reputation. It is also worth noting that UHLC is ranked #50 by U.S. News and World Report, while South Texas College of Law (STCL) is/was unranked. UH owns a series of federal trademark registrations for UNIVERSITY OF HOUSTON. Yet it is worth noting that there is no trademark registration for UNIVERSITY OF HOUSTON LAW CENTER, nor has the school sought to file an application for this specific mark. As will be discussed, just because there is no federal trademark registration does not mean that there are no trademark rights that are protectable. For example, the Washington Redskins may have had its registration cancelled, but it still has common law trademark rights it can enforce under the Lanham Act. At a minimum, I would expect UH to oppose STCL’s trademark application for HOUSTON COLLEGE OF LAW as that application works its way through the USPTO. Even if STCL contends that its educational system was established in 1923, its use of “Houston College of Law” as a mark cannot date back prior to April 6, 2016 (per its own trademark application). STCL did not launch its new website and domain name until June 22, 2016, whereas UH has been using the uh.edu domain (with a red-and-white color scheme) since at least the mid-1990s. STCL is therefore what is known as the “junior user” of the mark in comparison to UH’s asserted rights in the similar mark. One of the subtle sticking points in this lawsuit appears to be the use of the term “Houston Law.” UH contends that it has been using this shorthand term as part of its branding, including its clothing and merchandise, as well as its national advertising. The introduction of STCL’s “Houston College of Law” to the marketplace would almost certainly conflict with UH’s use of “Houston Law” as part of its branding strategies. The typical consumer will naturally shorten “Houston College of Law” to “Houston Law” for purposes of colloquial conversation. This is inevitable. This is also why there is now a lawsuit. Is “Houston” Protectable as a Trademark? The dominant part of the marks at issue is the word “Houston.” This is a geographical term for a city of 2.3 million people, with an extended population of almost 6.5 million if you include the suburban areas. Thus, “Houston” as a term of art extends far beyond the educational system and is used to designate businesses and other goods and services outside the law community. The City of Houston does not officially sponsor either of these institutions of higher learning. Of course, both schools are also located in the City of Houston, and there are no claims that the use of the term HOUSTON is geographically misdescriptive or deceptive. A layperson may nevertheless ask why “Houston” can be something subject to trademark protection. For example, the University of Texas and Texas A&M both use the geographic term “Texas” in their names. Not to mention Texas Tech, Texas Southern, UTEP, Texas Christian, etc. Trademarks, however, are to be considered as a whole in their entirety. They are not to be dissected. Therefore the analysis should be about HOUSTON COLLEGE OF LAW as a mark in its entirety and also whether the use of “Houston Law” as the likely shorthand is likely to be confused with UH’s registered trademarks for UNIVERSITY OF HOUSTON in conjunction with its common law marks for “Houston Law” and “University of Houston Law Center.” A future alumnus of STCL would likely just identify the school as “Houston Law” if the name change were accepted. By way of comparison, an alumnus of Texas A&M would not state that he or she attended “Texas” – they would (likely) state that they are proud alum of “A&M” or that they are an aggie. This is the crux of UH’s Complaint. UH’s lawsuit also bases many of its factual allegations on STCL’s purported admission that the SOUTH TEXAS COLLEGE OF LAW mark and name recognition is “minimal” and that the school sought to “raise its profile” through this name change. Accordingly, in UH’s opinion, these attempts by STCL to raise its profile conflict directly with UH’s existing trademark rights and the new name and red-and-white color scheme is likely to cause, and has already caused, “confusion, mistake or deception” within the relevant consuming public for educational services in the legal community. Moreover, based on STCL’s historical reputation as a “night school,” UH asserts that these uses are likely to tarnish or disparage UH’s own trademarks. 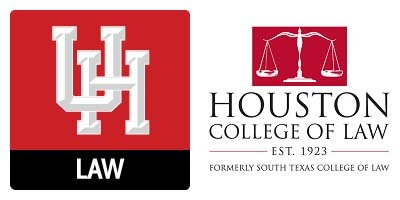 Essentially, this dispute concerns the potential likelihood of confusion in the term “Houston Law” and whether the relevant consumers would confuse UH’s law school with STCL’s law school if STCL is allowed to change its name to “Houston College of Law” in conjunction with a red-and-white color scheme. This case is not yet even a week old, but we can generally address whether STCL’s new name is “likely to confuse” relevant consumers (i.e. potential new law students) when compared to UH’s existing federal and common law marks. The similarity or dissimilarity of the marks in their entireties as to appearance, sound, connotation, and commercial impression. The similarity or dissimilarity and nature of the goods . . . described in an application or registration or in connection with which a prior mark is in use. The similarity or dissimilarity of established, likely-to-continue trade channels. The conditions under which and buyers to whom sales are made, i.e. “impulse” vs. careful, sophisticated purchasing. The fame of the prior mark. The number and nature of similar marks in use on similar goods. The nature and extent of any actual confusion. The length of time during and the conditions under which there has been concurrent use without evidence of actual confusion. The variety of goods on which a mark is or is not used. The market interface between the applicant and the owner of a prior mark. The extent to which applicant has a right to exclude others from use of its mark on its goods. The extent of potential confusion. Any other established fact probative of the effect of use. These factors are not necessarily equal nor are they necessarily relevant in a given case, and any one single factor can be controlling. We can nevertheless quickly assign weight to some of these factors as they would likely be applied in this matter. “Houston College of Law” and “University of Houston Law Center” are not identical, but that is not the legal standard. The dominant terms are “Houston” and “Law” and both appear in each mark. This factor favors the senior user, UH. Both UH and STCL are educational institutions, to varying degrees of local and national recognition and reputation. Both entities have law schools. This factor favors the senior user, UH. Both UH and STCL are offering educational services to students seeking to acquire law degrees, among other relevant consumers within the legal profession. As the senior user, this factor again favors UH. As someone who went to law school and also obtained an LLM, I feel confident in stating that the decision to apply to law school and then attend 3+ years of law school cannot be considered an “impulse” purchase (unless you are a masochist). Most students will carefully research which school they decide to attend. A modicum of research would distinguish UH from STCL and prospective students would quickly learn that the schools are not aligned or affiliated in any way. This factor favors STCL, because sophisticated purchasers are unlikely to be confused by surface level names and color schemes. There are no other law schools that use the term “Houston” in association with “Law.” There are only nine (9) law schools in all of Texas. Prior to June 22, 2016, only one of these used the term “Houston” anywhere in its name. STCL seeks to change the status quo. This factor favors UH. While this has yet to be verified, UH’s Complaint asserts that there has already been instances of actual confusion among relevant consumers. While I find it difficult to believe that any prospective students would have already confused STCL’s law school with UH’s law school, there is an ancillary market for STCL and UH products (clothing and memorabilia, law journals and academia, non-legal journalism, etc.) that may have already confused the two institutions. UH implies that STCL’s own Dean has already confused alumnus of UH with those of STCL. Oops. Though considering that news of the name change is still circulating, “actual confusion” may not yet exist, which somewhat favors STCL, but this is a dynamic situation and this factor could easily shift in UH’s favor down the road. The name change is a week old. This factor is not yet relevant. The predominant use of the mark(s) is in association with institutions of higher learning in the field of law. But as noted before, there are ancillary markets that use these schools’ respective trademarks for licensed goods and services. Overall, however, this factor is neutral. These two are direct competitors in the same market. This factor strongly favors UH, the senior user of the mark in the same geographic area. UH has been using these marks, or variations thereof, for almost 80 years. UH has not licensed the right to use “Houston Law” or “Houston College of Law” to any other law school, including STCL. The name change announcement by STCL was made without conferring with UH. Permission was not granted, which spurred the lawsuit. To the extent UH can assert trademark rights in “Houston Law,” it has a substantial right to exclude STCL’s uses. This factor favors UH. If STCL is allowed to proceed with the name change, there is a strong likelihood of potential confusion with indirect consumers. As noted above, actual prospective students are likely to research the two distinct institutions and avoid confusion, but other residents of Houston may not be as sophisticated and are likely to be unable to distinguish between the two in the future. This factor may favor UH as more evidence is gathered. I am a member of a series of lawyers groups and professional associations. My observation is that these groups’ initial reactions universally favors UH in this dispute. Even the non-trademark lawyers in these groups asked when UH was going to file the inevitable lawsuit. Many STCL grads have expressed displeasure with the name change as well. Personally, this might be one of the more clear-cut “whoa, that’s trademark infringement!” reactions I have ever had. Furthermore, many in the local Houston legal community were wholly unaware of STCL’s intent to change its name until it unveiled the new website and made the June 22nd announcement. A substantial amount of STCL alums have admitted they were unaware of the plans for a name change. It is as if this were conducted in secret, where the STCL higher-ups knew that there would be trademark claims from UH. Hello, evidence of willful infringement. 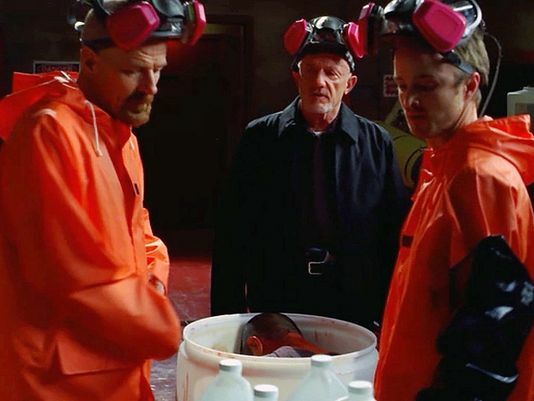 Lastly, STCL now wants to be known as “HCL,” which just makes me think of hydrochloric acid. It seems South Texas College of Law wants all traces of its reputation and brand to be dissolved. U.S. Trademark App. No. 87035349 (May 12, 2016). Full disclosure: while I obtained my law degree from Southern Methodist University Dedman School of Law in 2002, I later obtained my LL.M. from the University of Houston Law Center in 2004. Bd. of Regents of the Univ. of Houston Sys. v. S. Texas College of Law, No. 4:16-cv-01839 (S.D. Tex., June 27, 2016) (“UH Original Complaint”). I personally know and have worked with and against some of the lawyers that have appeared on behalf of the University of Houston in this matter, though I have not discussed this case with any of them prior to writing this. SMU Dedman School of Law is ranked #45. Just saying. Go Mustangs! See 15 U.S.C. § 1125. STCL did register “houstoncollegeoflaw.com” as early as March 22, 2016, however. See UH Original Complaint, at pages 10-12. See generally In re Budge Mfg. Co., 857 F.2d 773, 775 (Fed. Cir. 1988). UH Original Complaint at p. 5. UH Original Complaint at p. 21. 476 F.2d 1357 (CCPA 1973). DuPont, 476 F.2d at 1361. See In re Dixie Rests., Inc., 105 F.3d 1405, 1406-07, (Fed. Cir. 1997). In fact, UH disclaimed the use of the term “University” apart from the mark as a whole in its federal registrations. UH Original Complaint at pp. 9-15. For example, Thurgood Marshall School of Law is also in Houston, Texas, but does not use “Houston” in its name or associated marks. UH Original Complaint at pp. 18-19. How do I avoid copyright infringement as a songwriter? Olympic Trademarks are Sacred. And Easily Infringed.